Brian De Palma reigned supreme when it came to Hitchcock imitations in the 1970s, but a number of other American auteurs, including Pink Panther filmmaker Blake Edwards, tried their hand as well. With The Tamarind Seed, Edwards conjures the master of suspense for a romantic tale of Cold War espionage. 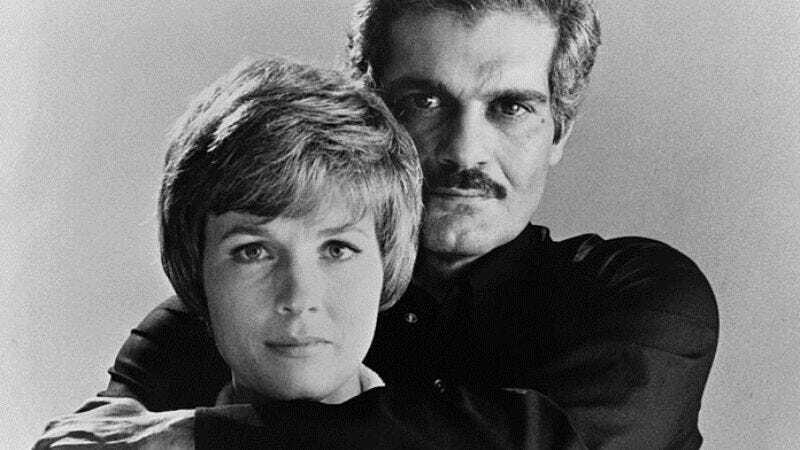 Mostly playing off Notorious (with a Saul Bass imitation for the opening credits), The Tamarind Seed follows a tenuously growing romance between Brit Judith Farrow (Julie Andrews) and Russian Feodor Sverdlov (Omar Sharif). But are they acting for love or duty to country? Farrow and Sverdlov meet inconspicuously as tourists along the luscious beaches of Barbados, only to later discover she works as a secretary for the Home Office, while he serves as a military attaché. Their romance initially seems doomed, but it turns out the higher ups send them across London, Paris, and Moscow in hope their trysts can give way to intel or a double-cross. So as much as they can exclaim their love, each contains a lingering suspicion about their true intentions, only exacerbated by their past emotional injuries. (Her husband died in a car accident; he’d trapped in a loveless marriage.) “You must try to tell the truth as long as possible. That way, when times change and you have to lie, there is a great chance that you will be believed,” Sverdlov remarks in a way that emphasizes his chameleon attitude. Is he truly in love with her or simply using her as a means to defect? Edwards’ best films (The Party, Breakfast At Tiffany’s) put loose performances within straightforward frames, which allows for unexpected surprises. With The Tamarind Seed, the director instead employs a series of zooms, cross-cutting, and tracking shots with strong Hitchcockian command, suggesting the power fabrications that truly control this romance. And yet, Andrews and Sharif playfully construct their intimacy with authenticity, in contrast to the constant exposition by the various heads of state, ratcheting the tension of whether this romance can resolve in their favor. Country and love turn out to be equally relative affairs—it turns out every MI6 and KGB agent is involved in some adulterous affair—so why not favor optimism? Edwards achieves something Hitchcock could never do: make a saccharine romance feel sincere. Availability: The Tamarind Seed is available on DVD from Amazon or possibly your local video store/library. It can also be rented or purchased through Amazon Instant Video.